Mahana Ridge is an exclusive country estate where luxury and rural living meet……and get along superbly! 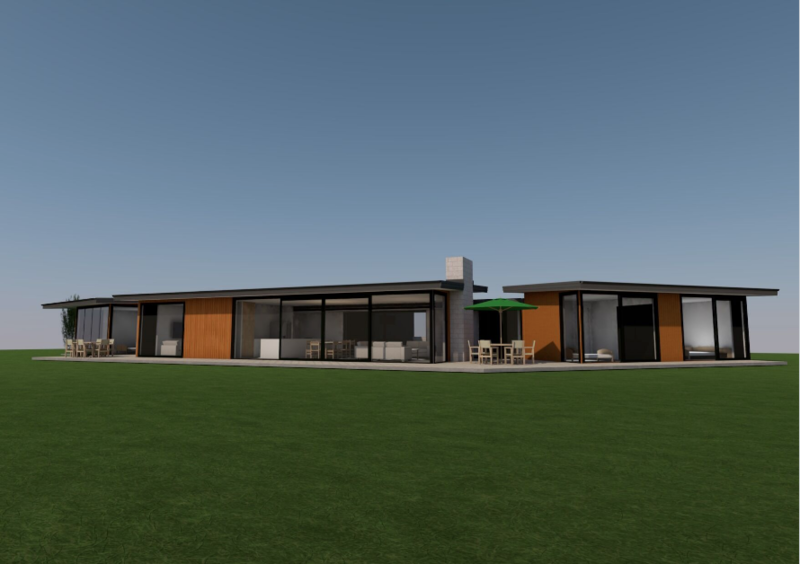 This exciting development is nestled in the famous rolling green hills of the Moutere, one of New Zealand’s most sought after lifestyle destinations. When people think of Mahana, they think art galleries, wineries, roadside fruit stalls, produce growers and gourmet food producers. And they’re right. This is a place where all your favourite indulgences come together, underpinned by a strong community spirit and an outlook for the wider region that just keeps getting better and better. Imagine waking up to jaw-dropping views of the Tasman Bay in a secluded, green, rural environment, with easy access to the quirky towns of Nelson Tasman. That’s exactly the vision the developer saw when he drove past the site several years ago. He now lives in the area with his family. The uniqueness of this inspiring concept is based on a simple and smart solution for a shared maintenance of the open spaces and beautifully restored native gullies, presenting relaxing walks along creeks and through the stunning native bush listening to native birdsong. A must feel! If you so desire it is entirely possible to focus on the highest eco-friendly energy standards, with the possibility of going "off the grid" completely, using a combination of solar and your own guaranteed water onsite. Mahana Ridge residents will enjoy a high standard of living; the development offers the best of both worlds with all the comforts of rural living without the compromises. There is no such thing as an ordinary day in Mahana and locals all share a deep appreciation of what this fantastic community has to offer. Mahana Ridge will comprise just 19 large sections that range in size from a spacious 9,600 sq m to an impressive 2.5 hectares. At the heart of the development there will be a recreation area set aside for the sole use of residents - and residents themselves will get to choose how they want to use it. It could be a court for sports like netball or tennis, green space, a combination, or something else - you decide! But get in quick - the decision will be reserved for the purchasers of the first five sections. A smart shared maintenance scheme has been created to share the cost of caring for the streams, native bush and grassed areas between properties. Residents can also choose to travel for extended periods of time and simply walk away by utilising these services to care for their property. This allows more time for indulgence in the things that matter rather than trying to keep up with the maintenance demands of rural living. Mahana Ridge is walking distance to the local primary school and on the main bus route for schools in the wider area. The developer has invested in bringing UFB to ensure residents enjoy high connectivity. A high quality on-site bore will serve every section, meaning ongoing access to clean drinking water for all residents. Space and funds have been set aside to invest in an exclusive leisure area for residents to enjoy, at the heart of the site. The people of Moutere all have one thing in common - a love and appreciation of the lifestyle the area has to offer. These are people who love the land but are no strangers to a good espresso or an evening out. They make stunning wine, cheese and olive oils. They grow mushrooms and berries. They brew craft beer and cider. They preserve local plums, blackberries and boysenberries. You will be a short walk from one of New Zealand’s premier wine destinations, Mahana Estates, an organic vineyard boasting a vibrant cellar door and restaurant. On your walk home, you can pick up fresh fruit and vegetables from the roadside stalls that still operate with “honesty boxes” for payment because that’s exactly what life is like here - relaxed and authentic. The Moutere area is a sought-after destination and properties don’t become available here often for good reason - why would you want to move? Residents here can enjoy all the perks of rural living with easy access to interesting villages and towns such as Motueka, Mapua and Richmond, plus the picturesque, thriving city of Nelson. The Moutere Inn is New Zealand’s oldest pub and serves beer and wine produced within 10kms of the pub itself. They have a fantastic restaurant and regularly hold music nights featuring local and visiting musicians. There is something quite nostalgic about winters in the Moutere Inn - sitting by the warm fire, listening to live music, enjoying nourishing food and the company of friends (another word for locals or your neighbours). In summer, you’re more likely to find yourself parked in the sun quenching your thirst with a local cider or craft beer. With its stunning wharf precinct featuring bars, restaurants, cafes, art galleries and shops. Boutique local shopping offerings, popular eateries and all your usual convenience and service utilities. A fast-paced metropolis with everything you need in terms of convenience; big brand retailers, supermarkets, free parking and gourmet food shops. A popular city with a strong arts and music scene as well as one of the countries busiest regional airports offering short flights to all airports around New Zealand. A small rural community with many artisan producers and artists, and a backdrop of stunning Mt Arthur. At the heart of everything we do at Mahana Ridge is a desire to embrace the natural beauty of the surroundings and make the most of the stunning sea and mountain views. We’ve partnered with renowned and award-winning Nelson architects Arthouse to provide a range of design ideas, however, you are free to use any builder, draftsman or architect of your choosing. The aim of these concept plans is simply to provide inspiration by showing what is achievable in our amazing development. We encourage diverse and innovative design which complements the natural environment and as such the covenants allow for the use of a wide range of materials and place only sensible limitations on what is achievable. For a summary of covenants and further information on this development please contact our agent Rebecca K.
Sections are selling fast, click the button below to view available listings or fill in the contact form and submit your enquiry now.